www.mitzvahlist.com – Welcome to Mitzvah List, the World's Largest List of Mitzvah Dates. 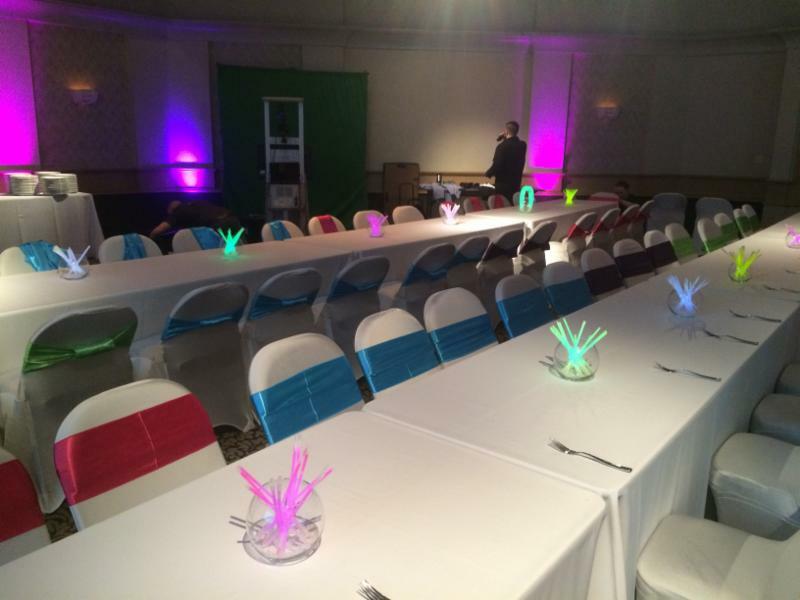 Check out our blog where you read about the hottest trends in planning a bar or bat mitzvah celebration. 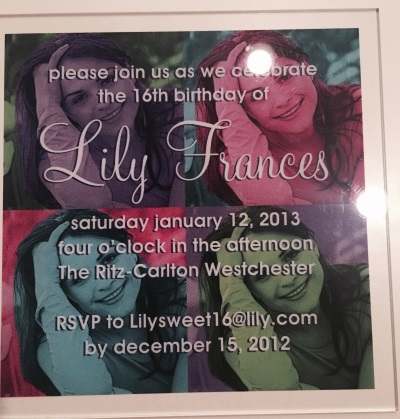 When planning a Bar or Bat Mitzvah, social media is an invaluable tool. Social media is an excellent place for parents to look for advice, find vendors or seek inspiration for their child’s special day. There are many resources out there, so where do you start? Facebook Groups are one of the best places to get advice or find vendors for your child’s celebration. Be warned that not all Mitzvah Facebook groups are created equally. Some groups only allow vendors, some only allow parents and some allow a mixture of both. Groups that allow both vendors and parents are best, but be careful, because some groups that allow vendors are all advertisements. Facebook Groups are usually organized by specific geographic areas. However, there is no reason that you shouldn’t join groups in different areas since they will still provide inspiration. Because Mitzvah Planning is similar in most areas, advice from parents and vendors in California would be helpful to parents in New York. Some groups are strict about who is allowed to join, so if you are not accepted, there are lots of other groups. In addition, some groups require you to answer a questionnaire about your intentions or require a sponsor for you to join. 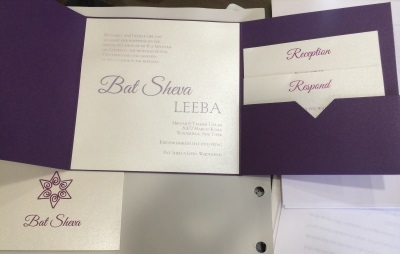 South Florida Bar Mitzvah and Bat Mitzvah Planning Group: By far the largest Bar and Bat Mitzvah Facebook group around with almost 6,000 members! This group was started by David Ockman a/k/a Dr. Mitzvah when planning his son’s Bar Mitzvah. It is now a very active group with tons of parents and vendors involved. The only rule in this group is that you must mention Bar or Bat Mitzvahs in your post and it needs to be Mitzvah related. 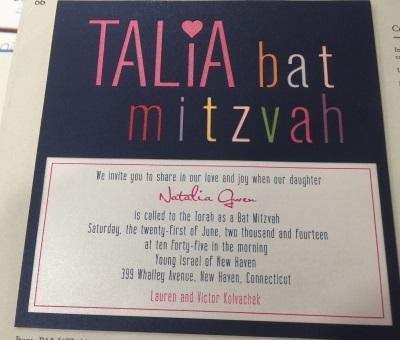 Long Island Bar and Bat Mitzvah Planning: With close to 2,000 members, this is a great place to find inspiration, vendors and ask Mitzvah parents planning questions. Started by Randi Lehman, this group has the perfect mix of vendors and parents. Metro Detroit / Parents of Bar / Bat Mitzvah: The Metro Detroit group has close to 500 members. This is a great place to find ideas, vendors and ask questions. This group was originally started by Michael Weinstein, but is now run by Carrie Krauthamer and Becca Schlussel, two Mitzvah moms and vendors with years of experience and lots of helpful advice. Highland Park, Deerfield, Northbrook, Glenview & Chicago Bar & Bat Mitzvahs: This new group is a place for parents to ask questions, find vendors and get advice. Although it was created for Chicago Mitzvah Parents, feel free to join this group, ask questions and add to the fun. Charlotte Bar and Bat Mitzvah Networking Group: This newer group has close to 350 members and is a great source of information. Started by Stephanie Feldman, Mitzvah Mom and vendor, this group is a great place to find unique ideas and advice. Bar/Bat Mitzvah Resources Toronto/Thornhill: The Toronto group has close to 700 members and is a great place for members to share, recommend and give advice. Moderated by Sharon Zadik, vendors and parents are willing to answer all of your mitzvah planning questions. 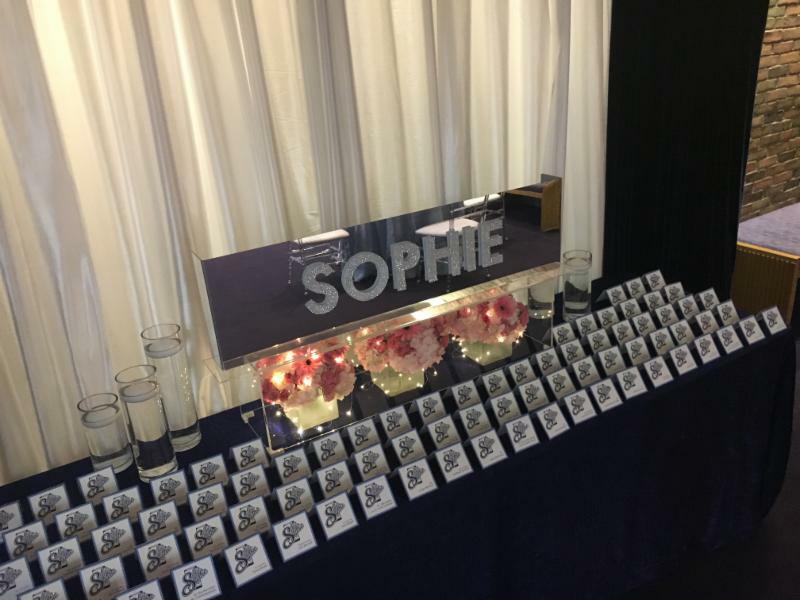 Top Tips for Bar Mitzvah & Bat Mitzvah Mums and Dads: With over 4500 members and based in the UK, this is a great place to get information on planning a Barmie (what they call Bar and Bat Mitzvahs in the UK). Moderated by Carolyne Klein and Joanna Rosenberg, parents and vendors provide lots of advice and ideas. Los Angeles Bar & Bat Mitzvah Resources, DIY and Recommendations: The Los Angeles group has over 400 members and is a place to get information on vendors and DIY Projects. Moderated by Claudine Pelc, this group welcomes members from other parts of the country and asks for reviews on vendors they have used online. Their only rule is to be kind to the members. 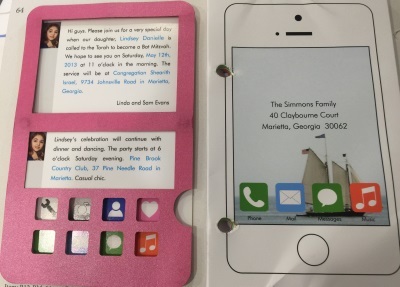 Atlanta Bar Mitzvah and Bat Mitzvah Planning Group: The Atlanta Group has close to 350 members and is a great resource. 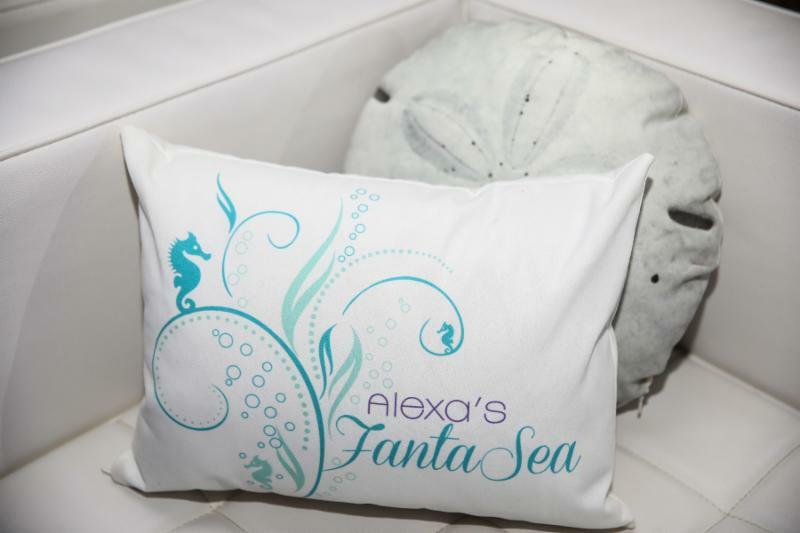 This group was started by Stacie Francombe when she was planning her first of three mitzvahs and found it hard to find great ideas and local vendors. This is a great place for parents and vendors to network, share ideas and inspiration. 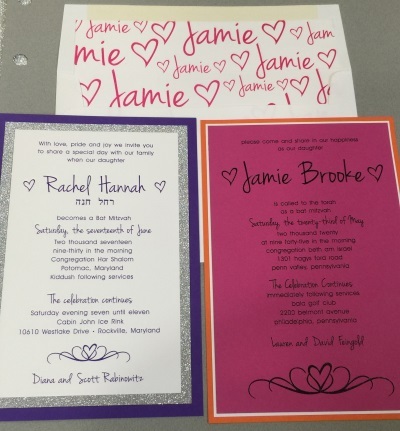 B’nai Mitzvahs on a Budget: This group has over 200 members and was created as a place to share themes, colors and money saving tips. Moderated by Lisa Huriash and Catherine Catino, this is a great resource for Mitzvah Parents on a budget. In addition to Facebook groups, Facebook is a great place to find vendors. 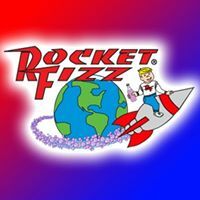 If you like a vendor, like their page to see other events that they have done. Look at their pictures to get ideas and inspiration. Vendors are usually quick to respond to questions asked on Facebook. Make sure that you like Mitzvah List on Facebook for lots of planning ideas, tips, advice and articles. Mitzvah List is a great resource for finding vendors too. 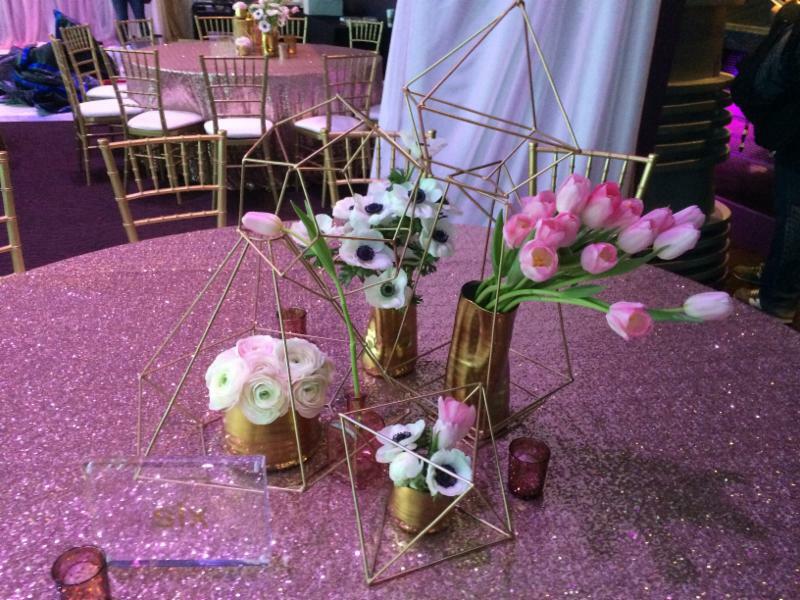 Another great place to find ideas for Bar and Bat Mitzvahs is Instagram. If you search the tag #barmitzvah you will find close to 200,000 posts! Similarly, #batmitzvah has over 150,000 posts! Vendors, parents and guests from all over the world have contributed to these hashtags. There are tons of vendors on Instagram too, so if you have a favorite, make sure that you follow their pages. Pinterest is also an amazing resource and a great place to find and save ideas. 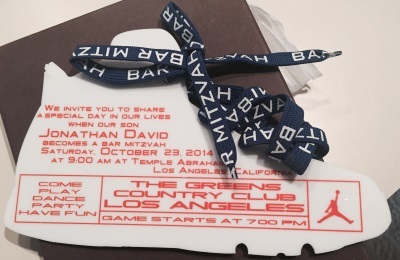 If you type in Bar Mitzvah or Bat Mitzvah, you could spend days looking at all the ideas. 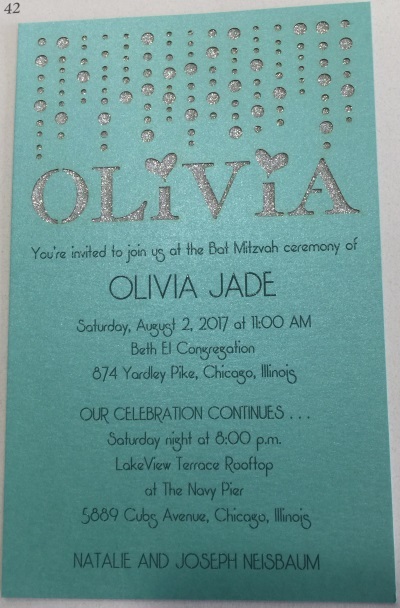 If you are looking for something more specific, type in something specific like Bar Mitzvah Invitations or Bat Mitzvah Décor. Follow boards with ideas you like or save the ideas to your own boards. If you don’t want anyone to know what you are planning, make the boards private so no one but you can see. Getting advice and ideas from parents who have gone through the process and seasoned vendors is easy (and free) with the help of social media. If you decide to join one of the Facebook groups, ask questions or if you have done it before, share advice with parents who are new to Mitzvah Planning. Don’t forget, it’s a Mitzvah to share your ideas and help others who are in the planning process. Everyone loves cupcakes, especially Yummy Cupcakes! 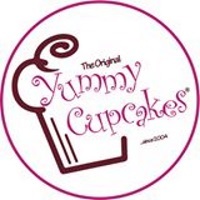 If you are looking for a delicious dessert idea that is fun and unique, Yummy Cupcakes and all of their amazing Cupcake flavors are the perfect dessert for your child’s Bar or Bat Mitzvah. 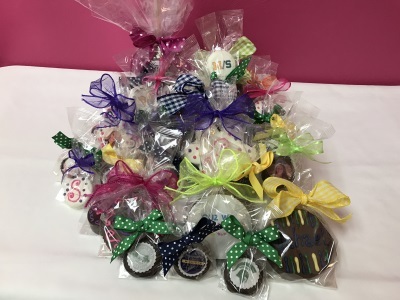 They also offer numerous Cupcake Specialty Treats, such as Cupcake Push Pops, Frosting Shots, Cupcake Truffles and Truffle Pops, to name a few, which also make a wonderful addition to your dessert table and are the perfect exit treat. 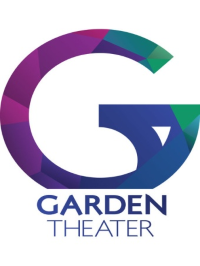 The Garden Theater in Midtown Detroit is a live music and entertainment center that is the perfect spot for your child’s Bar or Bat Mitzvah. Their fully renovated theater room, restaurant and private event space was originally designed by C. Howard Crane (known for the Fox Theatre) in 1912. Decor is the way you personalize your event and make it special and unique for your child. Décor can be simple, with the basics that come with your party room, over the top elaborate or something in between. Décor includes things like linens, chairs, centerpieces, flowers, large blown up pictures and anything else you can imagine to personalize and decorate your venue. 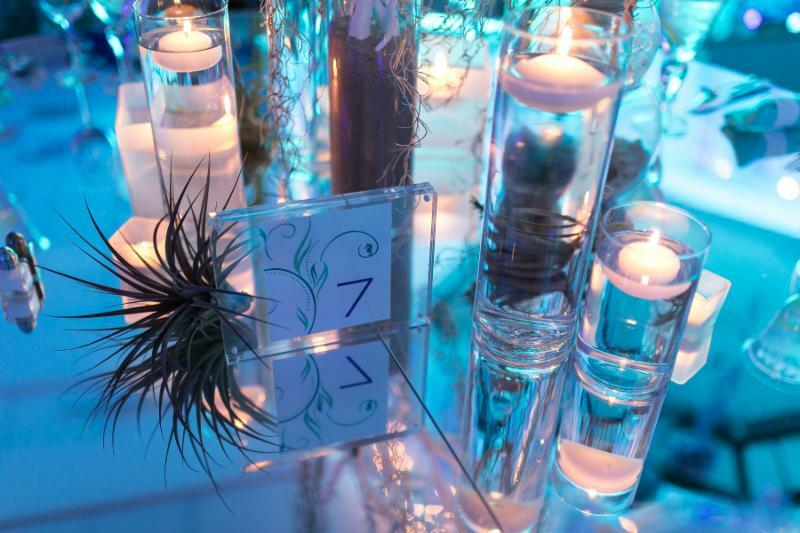 Since décor can be one of your top budget items, at Mitzvah List we were wondering how to get the most out of your décor budget. We spoke to Jenna Urbauer of Mandell Display Design to get advice on ways to save on your décor budget. For nearly 30 years, Mandell Display Design has set the industry standard for design & decor. Their mission remains the same: To continue to grow creatively while staying on the forefront of design and innovation. 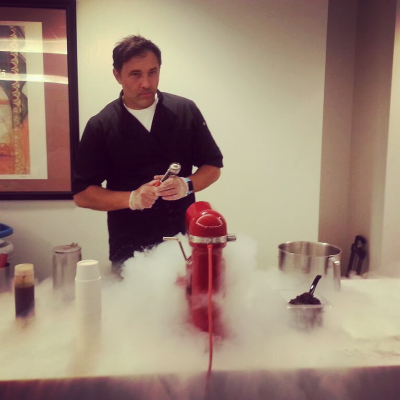 Mandell’s objective is to create custom looks for each event. Their commitment is to offer you the best, handmade, highest quality product available, as well as a truly one of a kind experience. 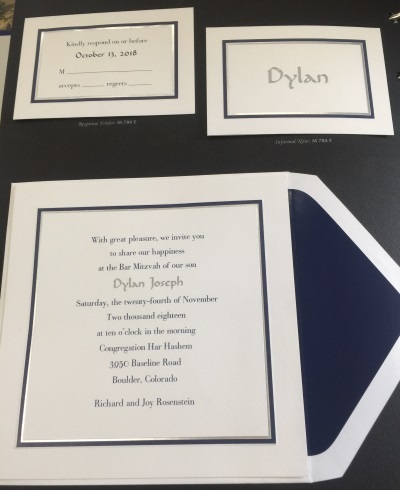 Jenna and her team at Mandell Display Design ensures that your vision and personality is represented at the most important events of your life. Mandell continues to make this world a more beautiful place. 1. Create a focal point. 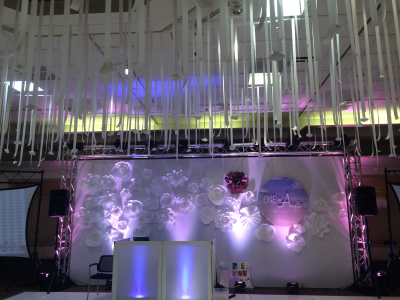 Mandell Display is known for creating spectacular focal points at Bar and Bat Mitzvahs. Jenna loves to use the dance floor as a focal point since this is where you want your guests to congregate and often the first thing you see when you walk in the room. 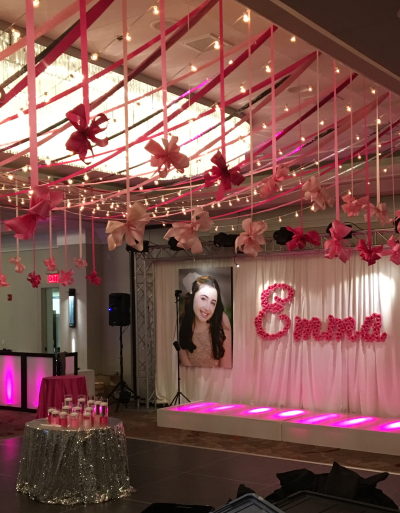 Jenna creates amazing over the dance floor ceiling treatments which can include drapery, ribbons, crystals or anything else to create a wow factor. She also focus on spectacular signage or décor that is placed behind the dance floor for increased visual interest. 2. Spend your budget where your guests will spend most of their time. Decor on place card tables, food stations or other areas that people don’t congregate for long periods should be simple and cost effective. Use the majority of your décor budget on areas that guests will enjoy and notice. 3. Double duty décor is the most cost effective. Try choosing décor that can be used in more than one place. If you have an amazing piece that will be displayed during cocktail hour, have it moved to the party room and use it on the sweet table. Also use functional décor items such as pillows, napkin holders and the like. These items can add to your overall décor and also have a purpose at your event. 4. Choose several centerpiece options. Having different centerpieces creates visual interest and can help cut down on cost. Creating centerpieces that are different heights adds to the overall décor. Jenna suggests having some tables with elaborate centerpieces while others have a simpler option. If you are looking to save, don’t use flowers on every centerpiece. 5. Don’t spend a lot on kid’s table décor. On average kids sit down to eat for 6 ½ minutes. In that 6 ½ minutes kids are known for destroying or taking apart the table décor. Jenna suggests having simple generic décor for these tables that are less customized. Make sure you have some sort of décor on these tables. 6. Use candles. Candles are inexpensive and a great way to add to the overall décor. Candles make the room look classier, warmer and add light. Candles come in endless options, and are great paired in groups that are different heights. For more information about Jenna and Mandell Display Group, check out their listing on Mitzvah List. Don’t forget to take advantage of the summer months to plan your child’s Mitzvah. 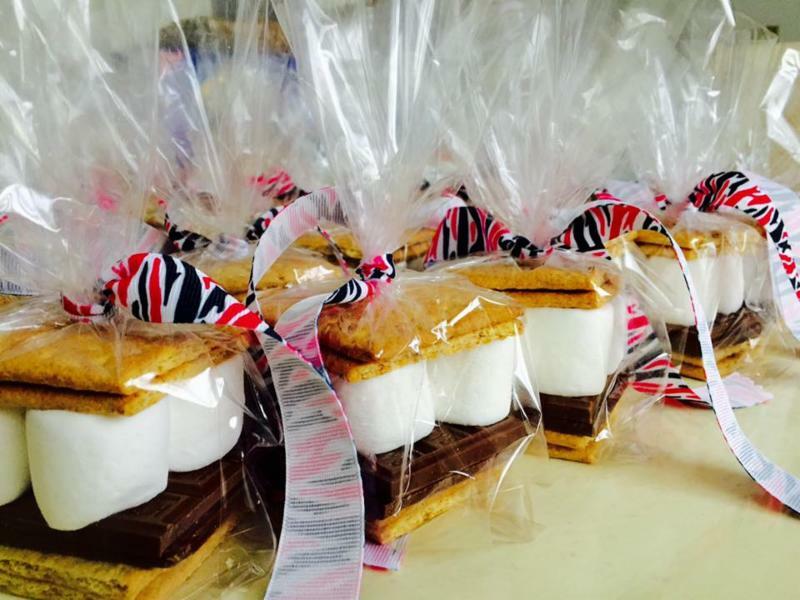 Many kids are away at camp, and since summer is often slower for coveted Mitzvah Vendors, this is one of the best times to meet. Has your child ever wanted to feel famous? To star in his or her own movie? If you want a real wow moment during your child’s bar or bat mitzvah party, consider having a Mitzvah Skit as part of your video montage. Mitzvah Skits are a great way to enhance and personalizes those 8-10 minutes where everyone’s quiet and all eyes are on the screen. It’s also a wonderful keepsake that you’ll have forever. Mitzvah List asked Marissa and Alex Murphy, the married couple behind Oy Video, to tell us about Mitzvah Skits and how they enhance a party. Marissa and Alex have been making skits and films together for over 10 years, earning a devoted following on social media for their irreverent style of humor. 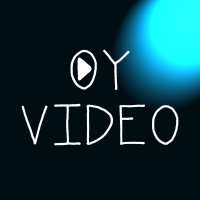 In 2013, they created Oy Video, which specializes in producing and creating dynamic photo montages, videography for events, documentaries of events, entrance videos, video art, video evites, music videos, hilarious Mitzvah Skits staring your family and friends, and an infinite number of audio visual possibilities. Let Oy Video create a wow moment for your event. A Mitzvah Skit is typically between one to three minutes and can take place at the start of a montage, at the end, or scenes can break up segments in a photo montage. Skits can be humorous, serious, a parody, in the style of a reality show, a music video; if you can dream it, Oy Video can do it. Each skit is unique, tailored to your child’s personality. “Our clients end up as friends,” said Marissa. “Every family has told us they have so much fun filming the skits.” Part of what makes these skits so much fun is that Marissa and Alex rely on a lot of improvisation and spontaneity throughout the creative process. They keep the mood light and fun during filming. You and your family will cherish the memories of making it. Everyone has a blast! 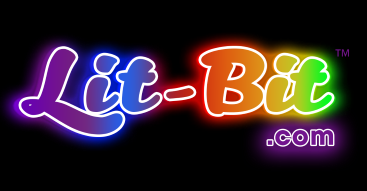 For more information about Mitzvah Skits and Oy Video, click here to view their listing in the Mitzvah List vendor directory. Are you looking for amazing lashes for your upcoming Mitzvah? 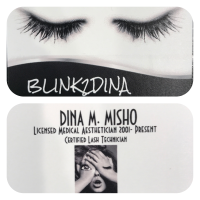 Blink2Dina’s keratin lash lift turns your natural lashes upwards and gives them length, height and volume. This incredible treatment lasts 8-12 weeks and no false lashes are used. C.A.Y.A. 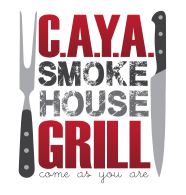 Smokehouse Grill is a casual smokehouse bistro with mouthwatering menu items that are sure to complement your celebration. Located in the former Nifty Normans building, C.A.Y.A. Smokehouse Grill’s one-of-a-kind atmosphere is like no other. C.A.Y.A. 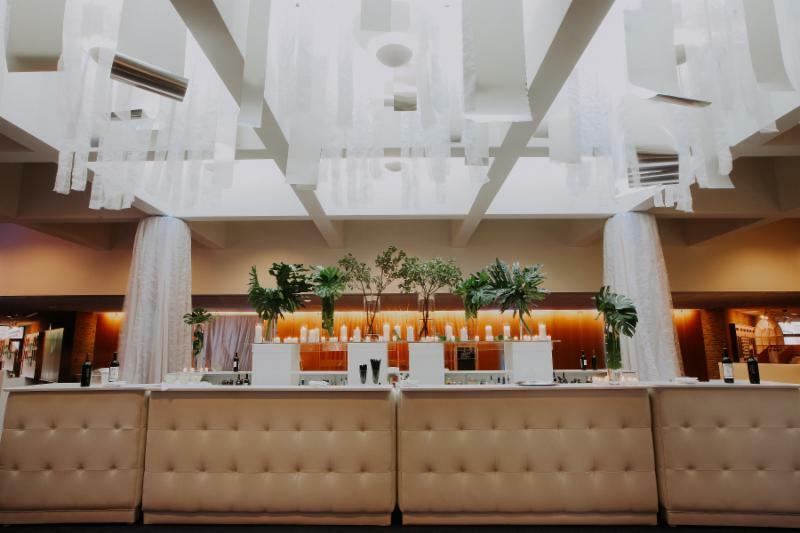 is the perfect spot for a Bar or Bat Mitzvah, Friday Night Dinner, Brunch or all of the above. Table cards are a great way to sweeten your celebration. Why not choose a table card that is not only functional, but also delicious? Michelle Daniels‘ love for chocolate began when crafting chocolate as a hobby for family and friends. 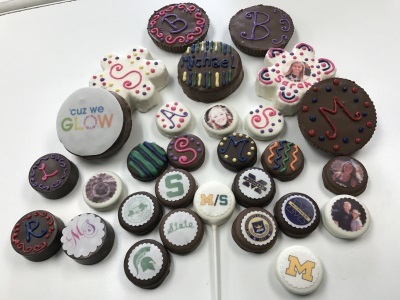 After receiving rave reviews for her delicious chocolates and unique creativity, Homemade Chocolates by Michelle in Southeast Michigan grew into a thriving business. 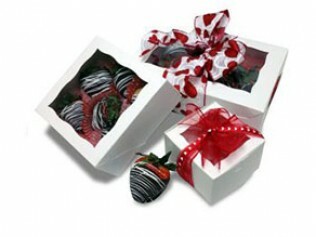 Michelle’s hand crafted chocolate delicacies include unique and custom packaging perfect for special events and occasions. 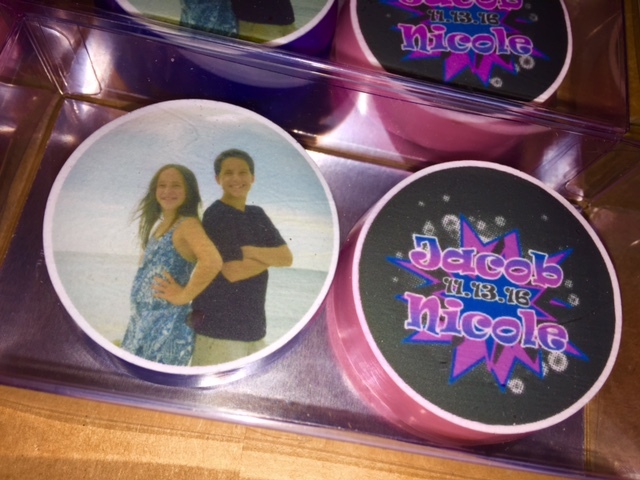 Michelle’s custom personalized chocolate oreos with your child’s picture of logo make the perfect table card or favor. 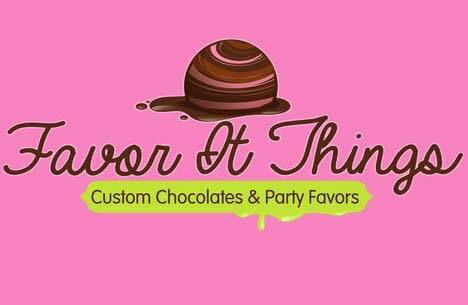 Danielle Ockman of Favor it Things in South Florida loves to make every event sweet with delicious chocolate custom party favors. Danielle’s personalized chocolate oreos and custom chocolate frames are perfect as a table card. 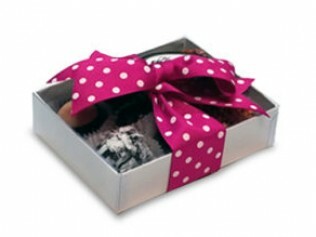 Providing chocolates on each table shows your guests how sweet you think they are. 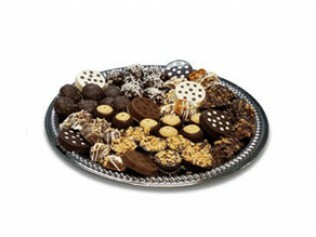 Homemade Chocolates by Michelle makes delicious and beautiful mouthwatering trays for your guests to enjoy. 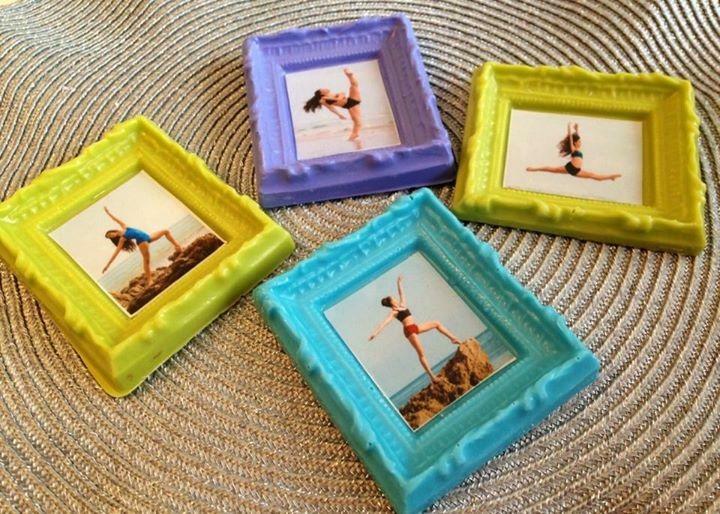 Michelle’s trays can include her custom oreos, with your child’s photo or logo, to add a personalized touch. 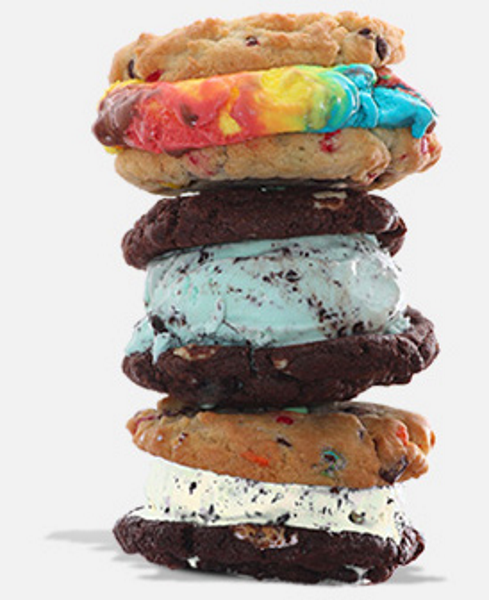 Cool Jacks custom makes delicious ice cream sandwiches using homemade cookies and ice cream. 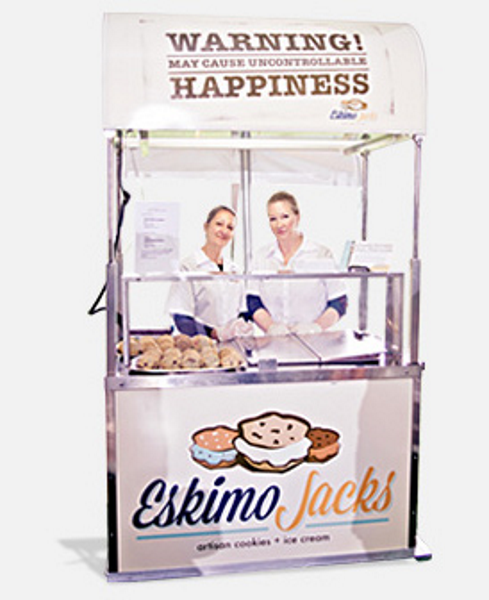 They bring their adorable cart to your event and make cookie ice cream sandwiches with your favorite flavor cookies and ice cream. 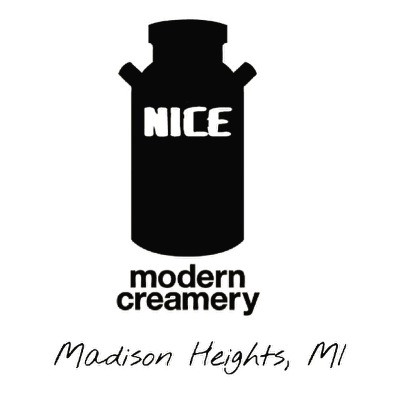 Nice Modern Creamery makes fresh liquid nitrogen ice cream in front of your guests. 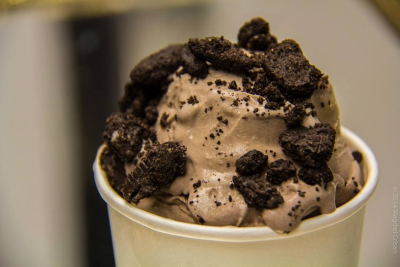 What starts out as liquid, turns into delicious ice cream in tons of flavors with lots of yummy toppings. 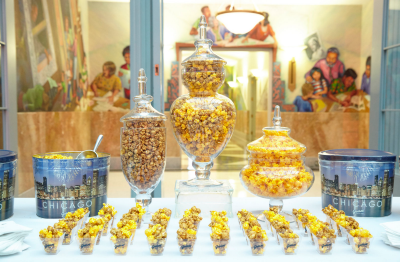 Garrett Popcorn Shops specializes in customized party favors as well as on-site popcorn bars! 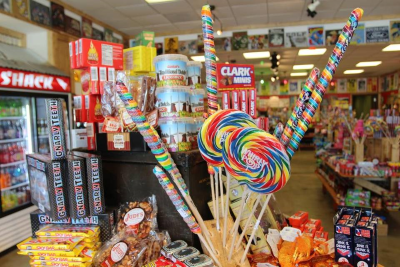 All of Garrett’s flavors are gluten free, non-GMO and preservative free. 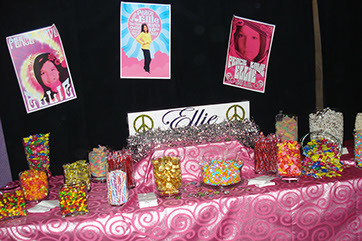 Andrea Solomon is an amazing party planner and designs beautiful candy displays and bars. She brings an on site attendant and all the containers, scoops and candy for your guests to devour. 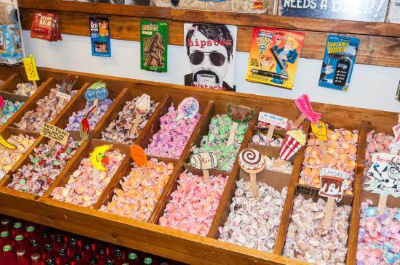 Rocket Fizz has the largest selection of candy and soda ever found in one store. 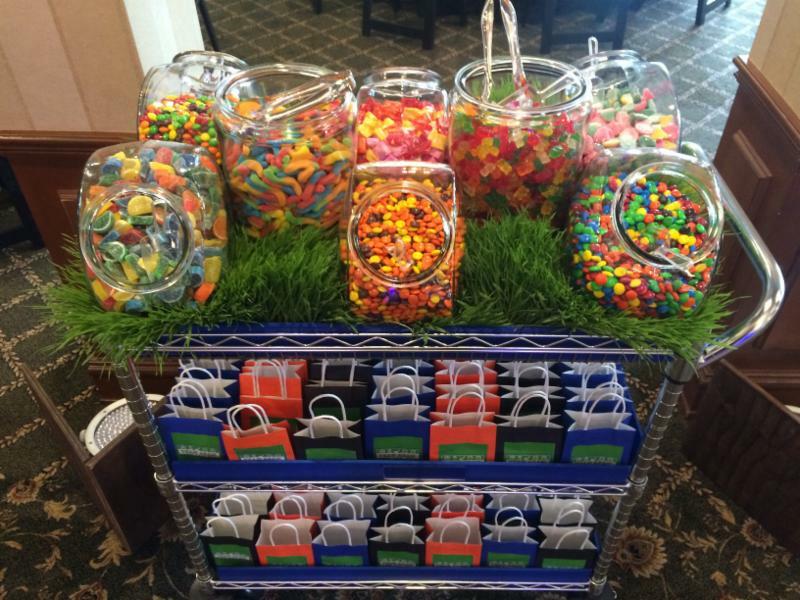 They have an amazing selection of candy on site and can set up a mini candy store or table at your event for your guests to enjoy. Leaving with something sweet is the perfect way to end a perfect night. 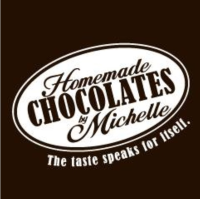 Homemade Chocolates by Michelle’s chocolate covered strawberries or truffles are a delicious way to thank your guests for coming to your child’s celebrations. 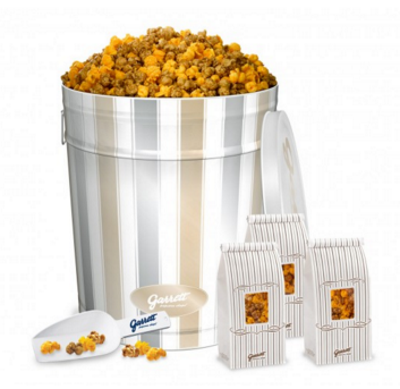 Garrett Popcorn is also a delicious treat to take home. 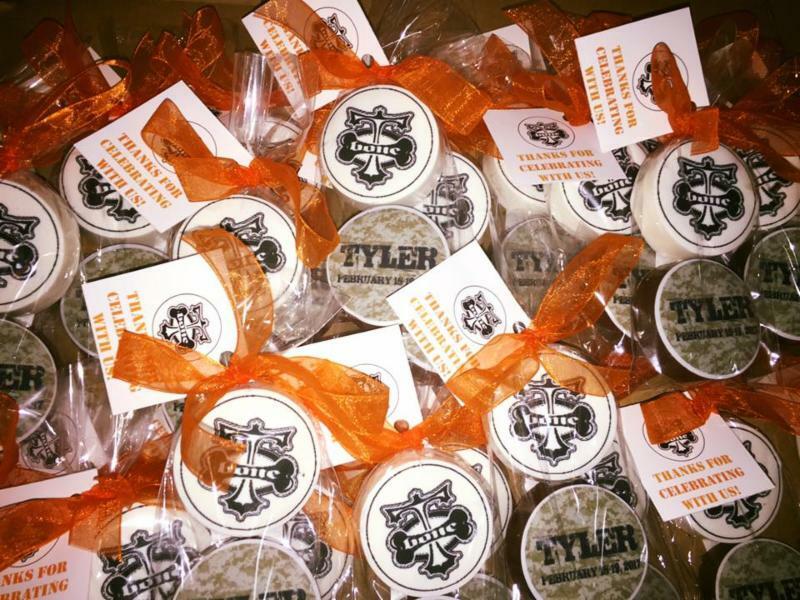 Garrett will package your favors so they are ready to leave when your guests are. Favor It Things’ name says it all. 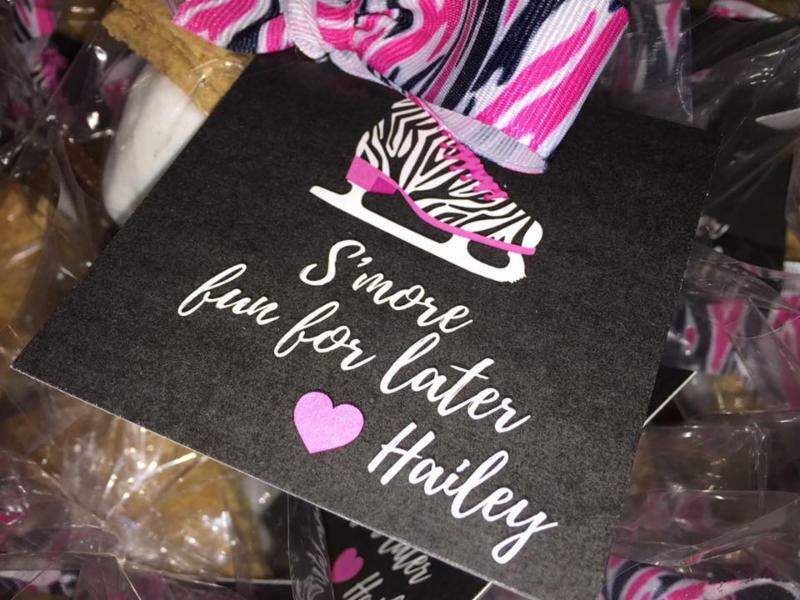 They specialize in custom favors and will create adorable personalized tags. Almost all Mitzvah Parents are on a budget, however, one area that often goes overlooked in the budget is tipping. At Mitzvah List we realize how important it is to show appreciation for excellent service, especially when a vendor goes above and beyond their duties. While tipping is not mandatory and is always within your discretion, lots of Mitzvah Planning Parents have asked how much they should tip at their event. For this reason, we have asked party planning guru, Pat Blackwell of Party Assurance a/k/a The Red Coat Ladies, how much Mitzvah Parents should tip. Bartenders. If gratuity if not included in the contract, $50 to $75 per bartender. Catering. If your contract does not include gratuity, you should tip 15% to 20% of the total bill or $20-$50 per server. Coat Check. This varies depending on how they are paid by the venue. Ask the sales manager for advice on how to tip the coat check. Valet. $25 for each attendant that is there at the end of the night. Transportation. $25 to $50 per driver. Hair and Makeup Artist should receive a 15% to 20% tip, the same as you would tip for any other salon visit. Day of Event Party Coordinator. Most people tip their lead person $50-$150 and assistant coordinators $20-$40. Decorators. This is in your discretion, but $200 is very generous and often well deserved. Photo Booth/Mitzvah Activity Vendors. $20 per attendant. Rabbi/Cantor – Most will not accept tips. However, depending on your relationship with your Rabbi or Cantor, a donation to the Rabbi’s Discretionary Fund or another temple fund is a nice gesture. Tutor. If you have a relationship with your tutor and you know what they like, a gift is always a nice gesture. Gift cards are always the right amount and right size. They probably have received tons of Judaica so make sure if your purchase Judaica, it’s something they don’t already have. 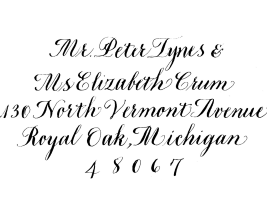 If someone really made your event special, make sure to let them know. A personal gift and note always go a long way. Here’s another tipping tip … make sure you bring all of your tips with you to your event. The last thing that you want to do at the end of your celebration is search for cash and checks to tip your vendors. Decide what you want to tip ahead of time and place each tip in an envelope marked for each vendor. And our last tip is our most important … make sure you register your child’s Bar or Bat Mitzvah Date on Mitzvah List. There is nothing worse than planning an event (and tipping lots of vendors at that event) when no one is there to enjoy your celebration. Make sure you search www.mitzvahlist.com to avoid date conflicts and like us on Facebook.